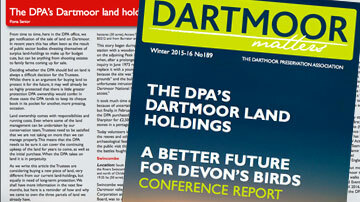 The DPA “flew the flag” once again at the Lustleigh Show on Bank Holiday Monday 25th August, as in previous years. 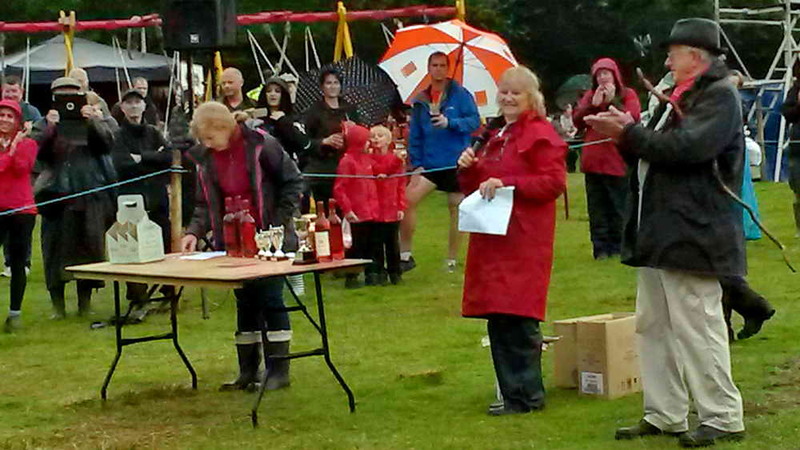 Volunteers Derek Collins, Val Barns, and Berni & Keith Ryan had, on this occasion, a very wet start – a new experience! 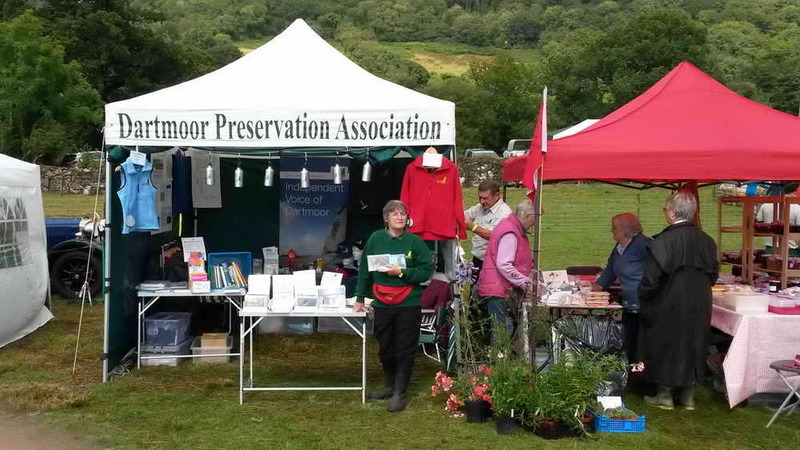 We began by putting up the gazebo at about 8.00 am and got the tables and “stock” in place in quite heavy rain, which was a shame for the show organisers because a lot of work goes into staging these shows and they rely on good weather for attendance by the public. I stood in the entrance to the huge marquee that housed the craft fair / beer tent after we were ready, talking to a member of the Dart Valley Stompers – a local jazz band. He said their drummer would not be happy to set up his kit in that weather! Later, when they were ready, they were set up in the beer tent – where they had a captive audience. Presentation time, with Tony Beard. 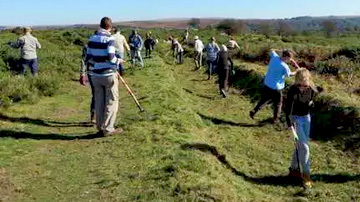 The photo above shows the Wag from Widecombe, Tony Beard (right), of BBC Radio Devon Sunday Request Show (watch the video about him! ), applauding winners of one of the various competitions that took place. These included the traditional 10 km run (with 106 entrants. in a mass start! ), dog and horse shows, sheep herding into a pen by several teams of four people (great fun to watch – we must enter one year), ferret racing etc. 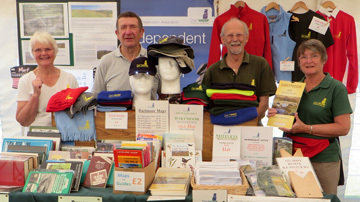 The DPA stand – conveniently next to the local ladies’ cake stand! Derek Collins must be applauded for his constant energy in preparing for these local shows – from choosing and maintaining the stocks of leisure wear, membership packs, books, maps, drinking bottles, calendars and Christmas cards – no doubt I have forgotten something in this list, and no doubt he will will remind me what it was! Not only that, he completely fills his car with the goodies, supervises the whole day and takes it all home again. This time, he will need to dry out the gazebo and a few other things ……… in the photo above he can be seen titivating the gazebo in a period when the sun actually shone. All in all, it was a damp day with rain at times, grey sky most of the time and a little sunshine that made the day more enjoyable. 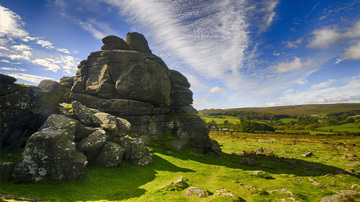 Luckily, Dartmoor people turned out as usual although I can imagine that many holiday-makers were discouraged by the early morning rain. I saw a lot of the people who wore waterproofs still enjoying themselves. One highlight for me was the hog roast baps, they were huge and running with apple sauce!